You are here: Home > Gardening > Trees and shrubs > Brugmansia, gigantic flowers! 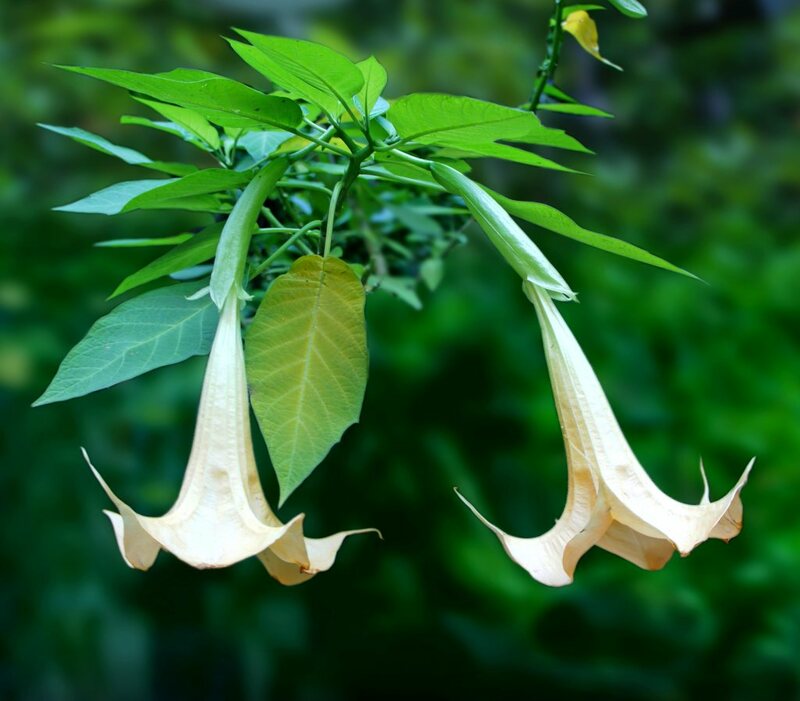 Brugmansia, also called “Angel’s Trumpets” for the magnificent flowers shaped like trumpets, is a very interesting and ornamental shrub. Brugmansia care is easy as long as it doesn’t freeze in your area. 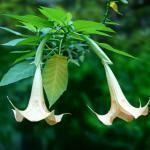 It is best to plant your brugmansia in spring in a blend of earth, soil mix and conditioner. Find a place in your garden that is protected from wind, but gets a lot of sun. Refer to our guidelines on planting shrubs. It’s possible to sow in a sheltered place starting in March and put in place in May. If you live in an area where winter freezing is very cold (lower than 23°F (-5°C)), consider growing your brugmansia in a lean-in or transfer them during the coldest months to a spot where it doesn’t freeze. Pruning at the beginning of spring should push your brugmansia to grow more dense and trigger beautiful blooming. Brugmansia can bear pruning well, so it can be quite drastic. Take note to protect your hands when pruning this shrub, because its leaves and stems contain high levels of alkaloids that are very poisonous. Water regularly, but not too much in times of high temperatures and spread mulch out at the foot of shrub over winter. Adding special rose tree fertilizer is particularly adapted to growing brugmansia. Dilute it in water and apply in every other watering during the growth period. Brugmansia cuttings are very easy to prepare. Provide proper substrate, light and well-draining. Stores and shops sell cutting or seedling soil mix, which is perfect. Collect a brugmansia cutting just above a bud. Plant the cutting in soil mix. Keep the cutting in a well-lit place at about 70°F (20°C). Sprinkle water on a regular basis to keep the substrate a bit moist. Before planting the cutting in the soil mix, you can also try dipping the cutting in powdered rooting hormones, but if you don’t have any it should still work fine. 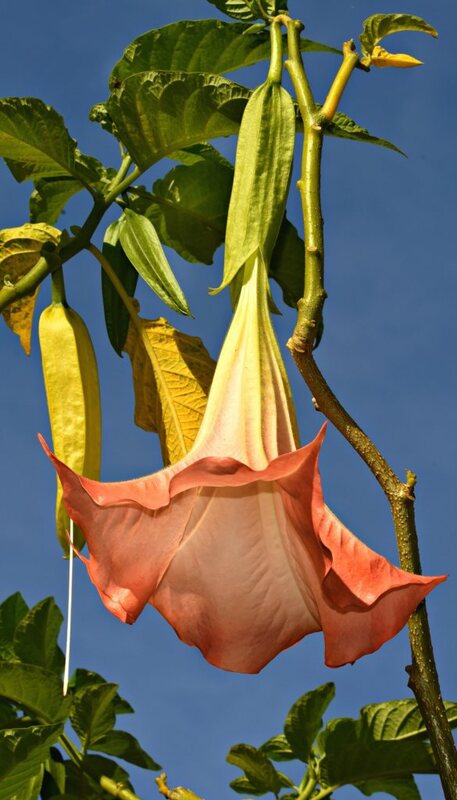 Brugmansia was discovered by botanists Alexander von Humboldt and Aimé Bonpland when they scoured across South America at the beginning of the XIXth century. It is thus native to the Andes, but it can also be found in the wild from the Antilles to Oceania. This magnificent shrub with remarkable blooming produces abundant and fragrant trumpet-shaped flowers. 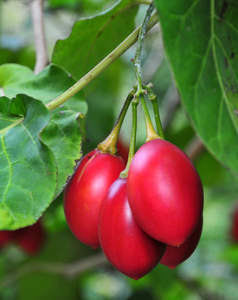 It originated in the warm climates of South America and tends to have trouble adapting to places where it freezes often. 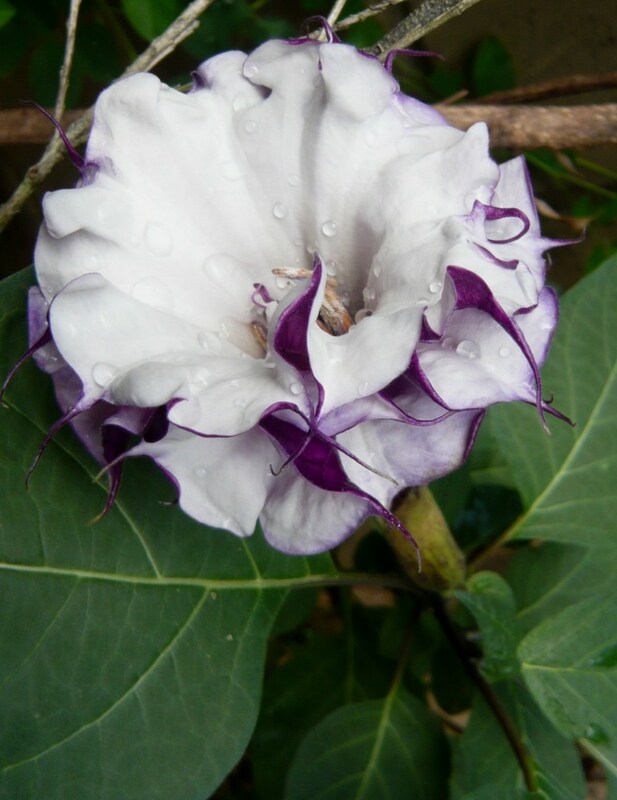 You can tell Brugmansia apart from Datura by looking at the flowers: brugmansia flowers hang down whereas datura flowers face upwards. Also, brugmansia tends to grow into shrubby shapes, whereas most datura varieties are rather herbaceous plants. 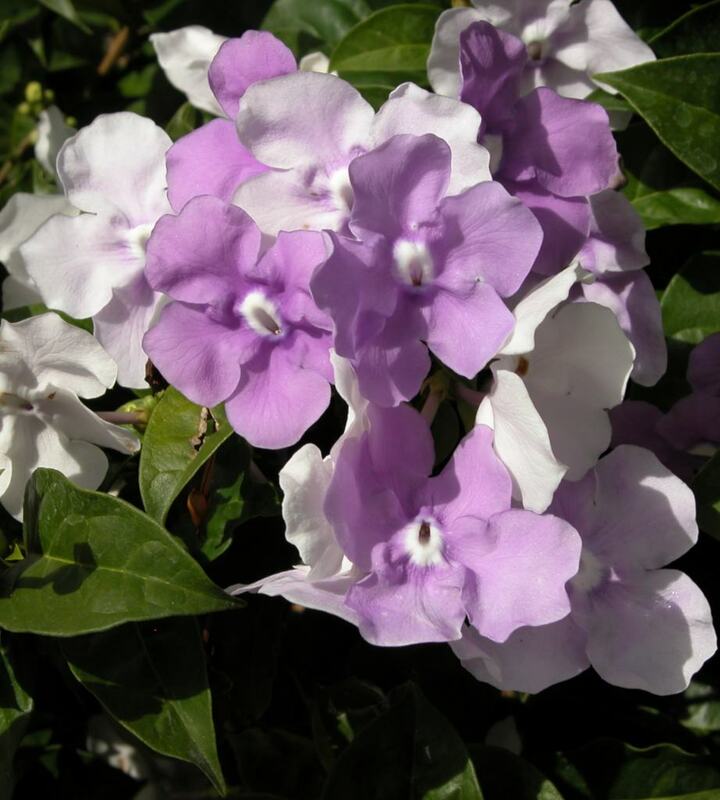 Add small quantities of organic fertilizer often during the blooming to enhance it.